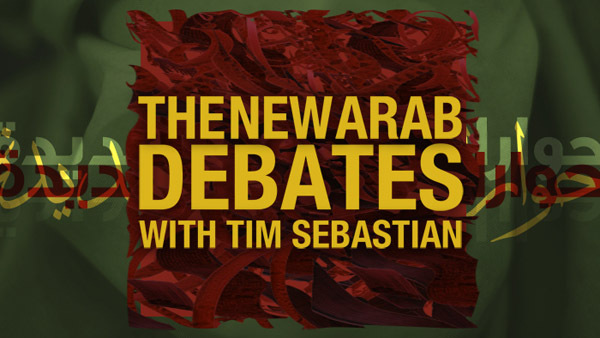 Veteran interviewer Tim Sebastian has forged an uncompromising style over his 40-year career that is more direct than diplomatic – but he isn’t looking for easy answers, he is looking for accountability. In his first interview as the host of DW’s Conflict Zone he sat down with Yanis Varoufakis, the embattled and outspoken former Greek Finance Minister. Yaroufakis is someone who is experienced in fending off tough questions with what Sebastian has called a “hard edge” combined with “well-developed spin”. Indeed, Varousfakis began the interview saying, “you didn’t invite me on your program to give you powerless statements”. Sebastian’s job was to break through the talking points and reveal a new side to the story and the person. With the ongoing Greek economic drama reaching a new level of crisis over the summer, Varoufakis emerged as a controversial and divisive figure in European politics. Sebastian went straight to the heart and what emerged during the interview was a unique outline of the crisis and a personal look at the positions held by the Greek finance minister as a tense situation unfolded. After his resignation Varoufakis said of the so called Troika that he would “wear their loathing with pride”. Sebastian asked why he wanted to make it so personal and Varoufakis replied that they had made it personal by distorting the truth about him through the media on many occasions. This wasn’t a comfortable discussion and Varoufakis’s barbed style proved an excellent match for Sebastian’s line of questioning. After the interview, Sebastian said it had been a “good battle”. Sebastian who has come up against masters of spin like Bill Clinton or the intellectual prowess of Noam Chomsky said that the interview revealed why many of the other European finance ministers were fed up with Varoufakis. “He is very convinced that he is right and that he is the only person who is right.” During the interview Varoufakis said that his former colleagues lacked “sophistication” and that there was “no discussion” of macro-economics in the Eurogroup. The interviews on Conflict Zone make a difference because of the time and effort that goes into producing questions that poke holes in arguments and challenge interviewees with facts. As the intensity of this first interview indicates, the next guest on Conflict Zone should come well prepared.